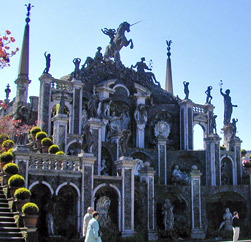 Lake Maggiore (also called Verbano) is a lake basin of north-east Piedmont, which borders on Lombardy and Switzerland. It is the second biggest Italian lake, after Lake Garda. 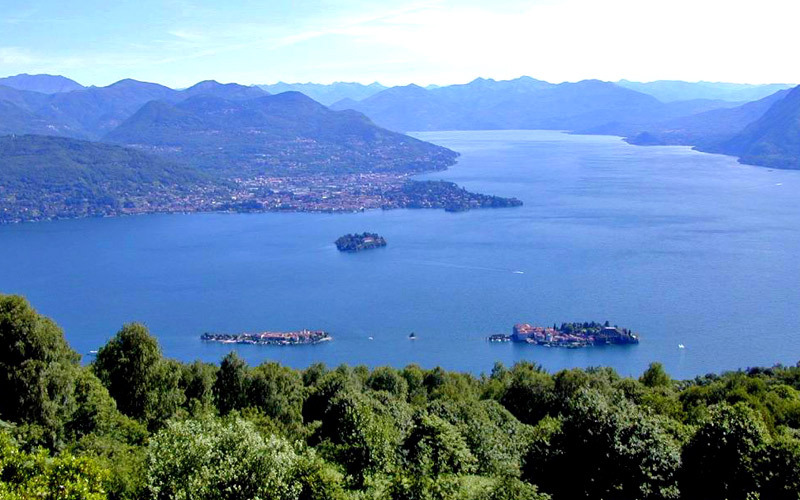 Internationally renowned places such as Stresa (linked with Mottarone peak through a modern cable car), Baveno, Belgirate, Verbania, Cannero Riviera and Cannobio are exposed on the lake. Supported by a mild climate and equipped with excellent hotels and various campings, Lake Maggiore is a very popular tourist attraction. Sporty people have a very wide range of choices: fishing, water ski, sail, windsurf, rowing, swimming and the opportunity to play in the golf courses of Stresa, Gignese, Golf & Sporting Club Verbania, Premeno. In wintertime, they will find sport facilities on Mottarone, Pian di Sole and Piancavallo. from Milano Malpensa 45 km, from Milano Linate 110 km and from Orio al Serio (Bergamo) 130 km. By car: A26 motorway towards Gravellona Toce – Carpugnino exit. From Carpugnino follow indications to Stresa. By coach: Arona or Baveno exit. By train: from Milano Centrale station and Milano Porta Garibaldi station – Stresa stop (1h-1h30m).